Honda said it will resume normal production levels at its UK and Turkish factories in Sepember. Production has been hit by parts shortages caused by the earthquake and tsunami in Japan. Parts supply from Japan has improved "significantly" and the company will now plan production for the remainder of the year to recover volume and quickly respond to customers' requirements, Honda said. Honda's plant in Swindon in southern England will continue to build vehicles during two days a week until September. The factory will close next week for a normal holiday period and will be shut for two weeks in August for the summer break. The factory employs 3,000 people and builds the Civic, CRV and Jazz models. 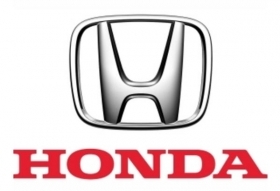 Honda said its plant in Gebze, near Istanbul, Turkey, will resume normal daily production of its locally produced Civic sedan during September. "We are extremely pleased that our European manufacturing operations can now plan for production to return to normal," Ken Keir, executive vice president of Honda Motor Europe, said in a statement on Friday. Honda's European new car sales fell 17.1 percent to 58,971 in the first four months, compared with 2010 figures, according to ACEA, the European automakers association.